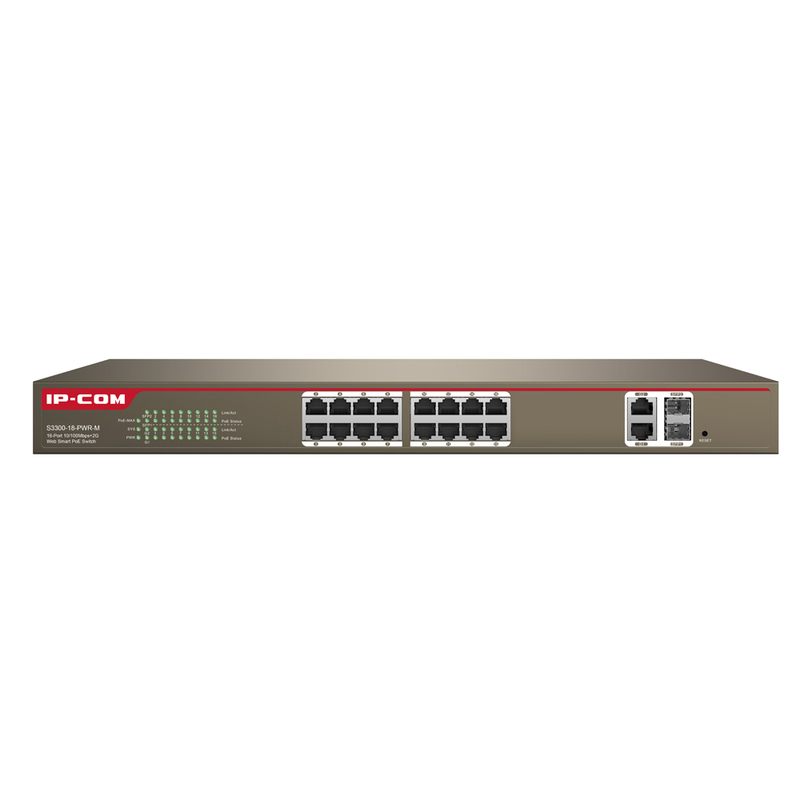 The S3300 is a 16-Port 10/100Mbps +2-Port Gigabit TP/SFP Combo Web Smart PoE Switch developed by IP-COM. 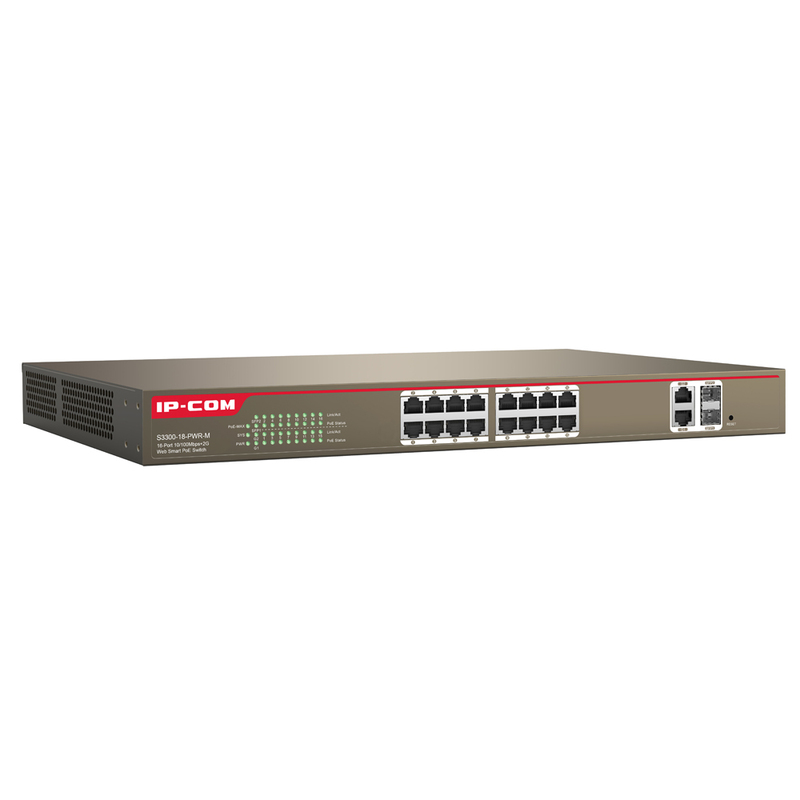 It provides 16 10/100Base-TX RJ45 ports, 2 10/100/1000Base-T RJ45 ports and 2 1000Base-X SFP combos. Ports 1-16 support IEEE 802.3af PoE (15.4W) and IEEE 802.3at PoE+ (30W) powering. The whole PoE output is 230W. By using Cat 5 twisted pair, the device can provide data and power for APs, IP cameras, IP phones, and other PoE devices. Moreover, by using Cat 5e Ethernet and enabling extend mode, the transmission distance of data and power can be as long as 250 meters. 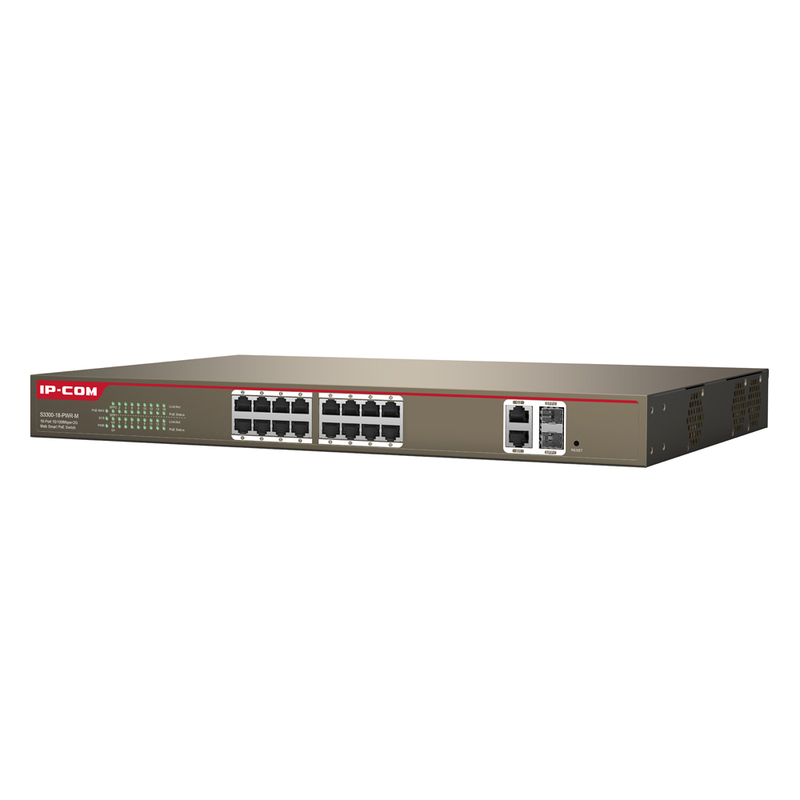 The S3300 supports QVLAN, link aggregation, QoS, MAC binding.